“What are these ugly black streaks on my roof?” The good news is that you don’t need to replace it. The bad news is that you’ve got bacteria, algae and mold infesting your roof. Why? Its slowly eating away at the limestone in your shingles! That’s right. The roofing manufacturers have replaced a large amount of the asphalt with limestone, because it’s inexpensive and heavy. The bad news is limestone feeds these organisms. Now that you know the why, how do you fix the problem? Many people think that roof replacement is the only option, costing $17,000 on average. Your best option is to find a certified roof cleaning contractor to kill the infestation and return your roof to like new condition. 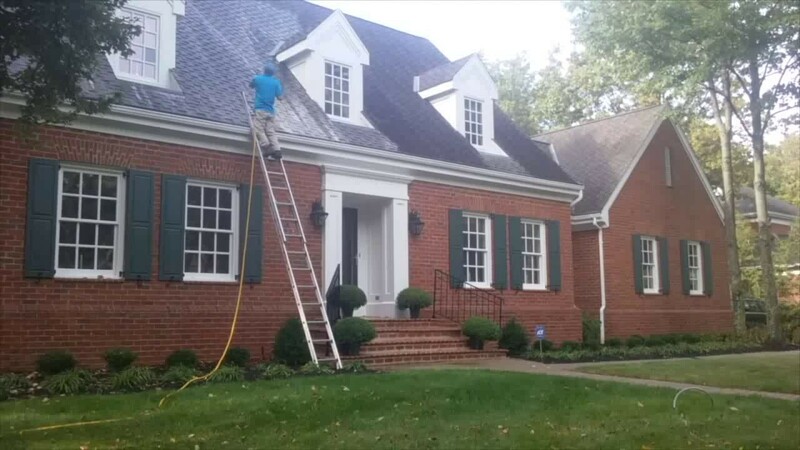 SmartWash cleaned more roofs in Knoxville in 2018 than any other contractor. We can return your roof to a “like new” condition in just a few hours. Less experienced contractors open your property up to severe plant damage, uneven cleaning and even voiding any warranty your roof still has from the manufacturer. We’d be happy to answer any questions you have, so you’re confident in your choice.